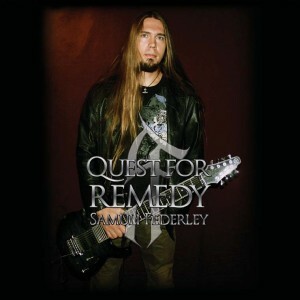 Congratulations on your new album “Quest For Remedy“. 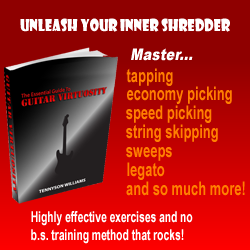 You have a lot of experience as a guitarist who has played and toured many years now with a very respectable discography (6 albums with Reversion and Moottörin Jyrinä). Where did the idea come from to release a solo album? Not enough notes in Reversion? songs, I always knew I had to use on some record. What musical direction did you want to take with this record? How is that album different compared to what you have done before? tried to come with some cool keyboard sounds as well. this. At my own studio. This is rare to see an instrumental album with 3 guest vocalists and no guest guitarist. albums so I wanted to do something different. This way also non-guitarist may find this album appealing. 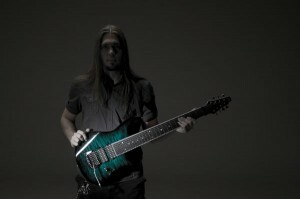 You endorse Amfisound guitars, have performed clinics at Finnish Metal Expo and Frankfurt Mess. Why did you choose this brand and when did you started playing 8 strings guitars? 2009-10 and several smaller fares all around the country. more with different tunings and other stuff but somehow I don’t find time to do that. do you have a different approach when performing “alone”? More pressure, more focus? different occasions you get more confident with it and be able to move around a bit more..
how is your approach to keep aggressive guitar tones that are softer in a way? you look like bored, they won’t be happy. it, the sound of vocals is a bit more important in my opinion. One part of the message is that metal doesn’t have to be too serious and isn’t just for grumpy and dirty men. handled right, it can be a strength.